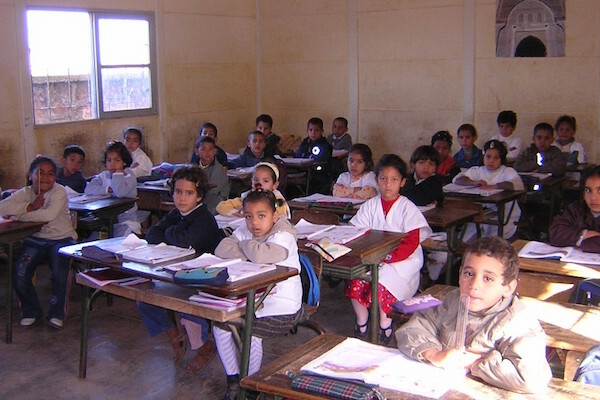 Rabat - Morocco’s Minister of Education Said Amzazi has unveiled his ambitious new national education plan to address infrastructure, pedagogy, and violence in schools. 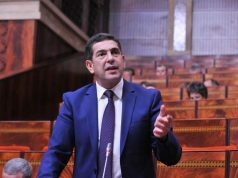 Rabat – Morocco’s Minister of Education Said Amzazi has unveiled his ambitious new national education plan to address infrastructure, pedagogy, and violence in schools. The minister presented his plan, which projects through the 2021-2022 school year, to the Committee on Education, Culture, and Communication in the second chamber of Parliament on May 16. The new education plan largely continues and builds upon the former education minister’s program, which targeted the expansion of school facilities and infrastructure and the early integration of an increasingly Francophone pedagogical approach. The new plan details several key markers to increase national education infrastructure, including the construction of 1,984 new classrooms in existing schools and the creation of 87 new schools, 37 of which will be in rural areas. To improve classroom performance, the plan will target schools with insufficient staff numbers and institute classroom caps. Specifically, it will add 35,000 contracted regional academy teachers to the 20,000 new instructors hired in 2018. Over the next three years, class sizes will gradually be capped at 30 students per class for the first two years of primary school, 34 for the remaining primary levels, and 36 students for secondary and “qualifying secondary” education. In the plan, the minister also promises to lower the minimum age for early education to gradually integrate 4 and 5-year-olds. By the 2021-2022 school year, the program aims to integrate 67 percent of this age group in schools. Furthermore, the program will likely continue the renovation of the 9,511 buildings that qualified under the former minister’s plan, although this proposal has not been confirmed. 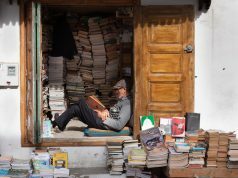 Many of Amzazi’s key educational reforms are rooted in pedagogical approach, specifically, in early childhood learning and reading in both Arabic and French. The plan implements a model that relates letters to syllable formation and encourages project-based experiential learning. The minister also seeks to expand Francophone education in the first year of primary school and middle school science curricula. At the baccalaureate and preparatory classes levels, the minister proposes the comprehensive revision curricula and pedagogical guidelines and evaluation models, such as exams. Moreover, the plan will introduce international baccalaureate programs in all high schools by the 2021-2022 school year. These changes build upon the textbook review and rewrites that occurred under the two former education ministers in 2016 and 2017. School dropout levels and education accessibility remain two of the greatest national challenges. To address these obstacles, the minister proposes the creation of 27 second-chance schools—schools that service students who discontinued their formal education at an early age— to reach the target goal 100 supplementary education schools by 2021. The educational programs aim to expand upon the 62,000 youth students who are currently served by informal education programs or vocational training. Ultimately, these programs hope to attract 30,000 additional students per year to eventually enroll 40 percent of those who participate in the programs in informal education or vocational training. Furthermore, the minister plans to launch a large-scale reassessment of student aid programs, specifically the selection process and student funds allotment. As it stands, the program will increase students’ daily allocation for meals from MAD 1.40 to 2 at the primary level, from MAD 7 to 10 at the secondary education level, and from MAD 14 to 20 for student meals at all boarding schools. In light of reports of teacher aggression and violence against students, the latest national education reform program also aims to raise teacher awareness and expand support services for students. The plan provides for 12 new support services for violence against students at the national level and 82 support outlets at the provincial level. Under this framework, 94 anti-violence coordinators will be trained to fill the positions at the national and provincial levels. The most recent video of a high school teacher violently beating his student during class has raised the issue of classroom violence to the national consciousness and will likely impact the Parliament vote in the second chamber. The final aspect of national education reform addresses education in the private sector. Primary aspects of the new plan include the revision of legal criteria for the establishment of private schools, the institution of a framework to guide teacher salaries, and the strengthening the qualifications for national tax benefits. 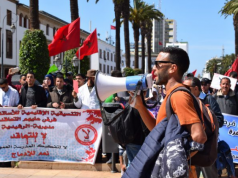 Although the comprehensive reform spans a wide range of topics, from educational infrastructure to private sector education reform, it fails to address one of the primary problems in Moroccan education: violence against teachers. Teachers remain unprotected in the classroom from violent act perpetrated by students. November 2017 saw three attacks on secondary school teachers by their students. One Casablanca teacher was attacked with a knife after classes, while another male teacher was beaten by a student during class. 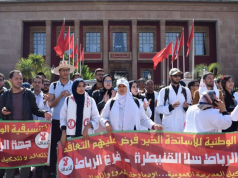 Though Morocco’s Ministry of National Education and Vocational Training and the national teachers union have condemned the violence, the minister’s proposed reforms fail to raise the critical issue to the national agenda. As the Ministry of Education pours funding into infrastructural improvements and new pedagogical methods, it is worth considering the extent that these developments can be implemented if classroom safety and security cannot be guaranteed for students and teachers alike.